History: child with history of urinary tract infections. 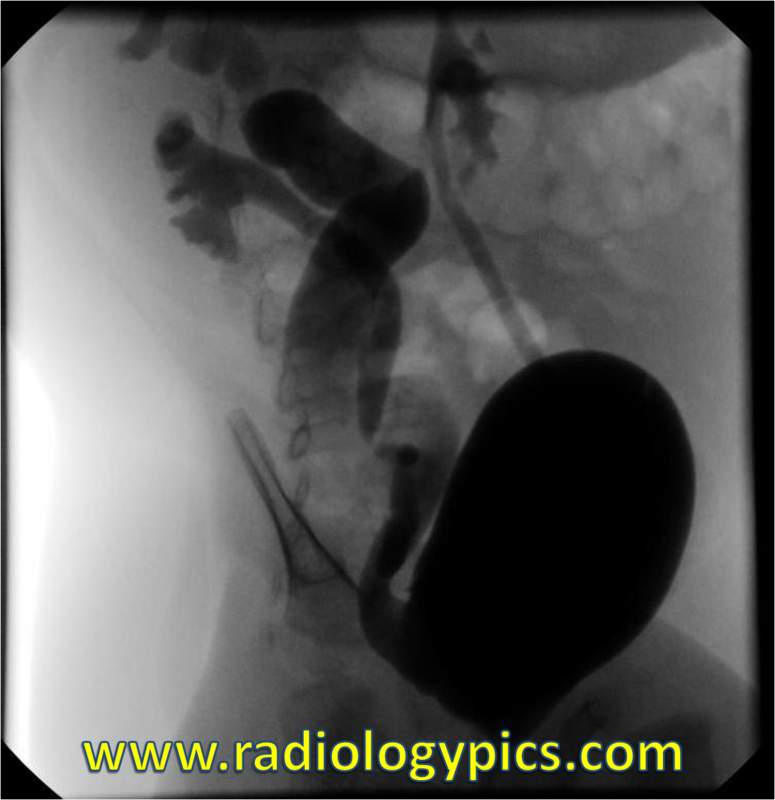 Oblique image from a retrograde voiding cystourethrogram. What are the findings? What is your diagnosis for this child with a history of multiple urinary tract infections? Comment and share below!